A craft contains the heart and memory of the town where it was born. It is the living expression of time, traditions, customs and even the beliefs of a group of people who learned from their parents and grandparents, to know the secrets of nature and to transform it with their hands into pieces of great aesthetic. 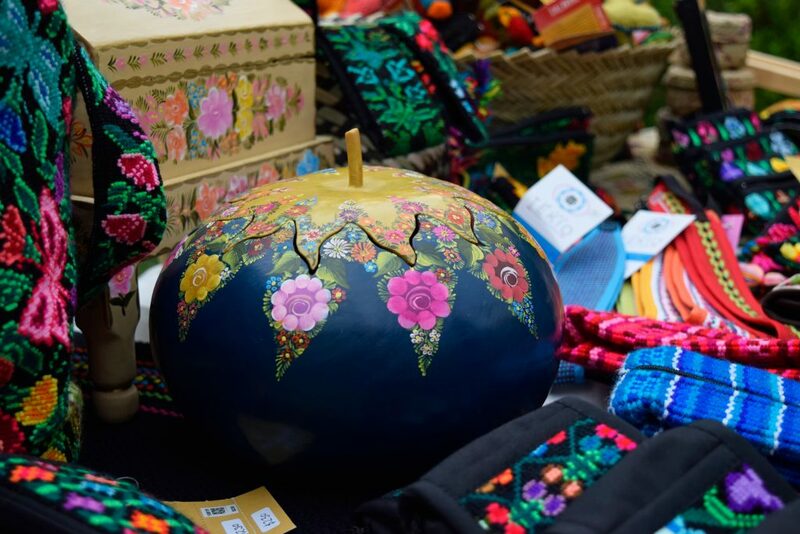 The crafts represent a multicultural legacy and demonstrate the expressive richness of the distinctive cultures that inhabit our territory. In Fundación con Causa Azul we believe in crafts. We believe in the artisans who safeguard their job, who make it their way of life and give our country an invaluable cultural heritage. That is why we are committed to the development of crafts and we work every day to find creative solutions to answer two big questions: What can we do to keep crafts alive? And how can we help artisans to have better living conditions? From pottery, fabric with natural fibers, textiles and embroidery, various stones handling techniques, ceramics, goldsmithery and metalworking, glass and saddlery, wood handling, glass, carton and paper, bone carving, corn leaf, Huichol art, and other branches of the vast Mexican artisan range; each and every one of them gives an account of how the communities have passed through these lands, have appropriated time and have impregnated their indelible footprint in the history of our Mexican culture. For Fundación con Causa Azul, these artisan virtues must also redound in the generation of sustained family income, the integration and development of communities, a profitable trade that can be inherited to future generations, the recognition and valuation of the market, the international showcase that will fill us with pride, a dignified way that is a counterweight to inequality and poverty, and in a dynamic that – respecting the cultural freedom of each people and each person to practice their job-, serves to promote the maximum conditions of social development. That is why we are here, trying to accompany artisan processes; wanting to learn from artisans and wishing to reach out where our support is needed. However, making it clear the following: listening rather than proposing, tightening ties of horizontal and transparent collaboration and asking before arriving with absolute answers. In our principles, there is one we could not change: the respect for artisans and their particular environment; it will always be intervened with them, never without them. Therefore, here it is this space to walk together and be accomplices in the way; to dialogue and communicate the steps we give as an organization; to imagine that one day, mexican handicrafts can become that cultural industry that could throw better economic, social and cultural indicators for artisans and for all the cohabitants of this Mexico that we all are. Here are our hearts and our hands, here we put our listening, our will and our disposition. Doubts, we still have many and we will always work to answer them, but we are sure that, in this magical world of craftsmanship, we want to walk along with the artisans and we have the firm conviction of going very far. We want to embroider this fabric, to model with the patience that mud is worked, to maintain the tenacity with which the quarry is shaped with each stroke, to obtain the beauty and precision of the wood and to preserve the mystique that a votive jicara keeps in the cosmovision of huichol art. We hope that our work, in every result, could get the finishing of a beautiful craft. If you believe that something of the artisan world can conquer you, or you are a craftsman and you want to get closer and sum us to your project, we will be waiting for you.